University of Toronto Press, 9781442634206, 480pp. Magic, witches, and demons have drawn interest and fear throughout human history. 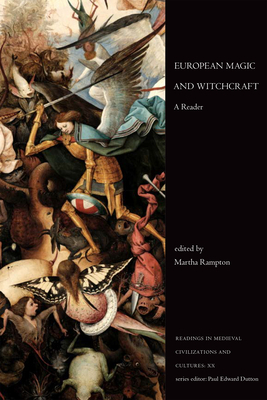 In this comprehensive primary source reader, Martha Rampton traces the history of our fascination with magic and witchcraft from the first through to the seventeenth century. In over 80 readings presented chronologically, Rampton demonstrates how understandings of and reactions toward magic changed and developed over time, and how these ideas were influenced by various factors such as religion, science, and law. The wide-ranging texts emphasize social history and include early Merovingian law codes, the Picatrix, Lombard's Sentences, The Golden Legend, and A Midsummer Night's Dream. By presenting a full spectrum of source types including hagiography, law codes, literature, and handbooks, this collection provides readers with a broad view of how magic was understood through the medieval and early modern eras. Rampton's introduction to the volume is a passionate appeal to students to use tolerance, imagination, and empathy when travelling back in time. The introductions to individual readings are deliberately minimal, providing just enough context so that students can hear medieval voices for themselves.